They work in adjacent buildings. They lived in a house adjacent to the railway. The site of the new building is adjacent to the park. 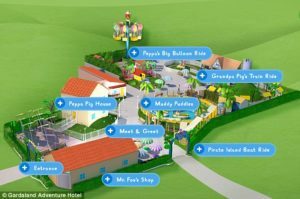 It’s the hit children’s television show that millions of youngsters all over the world love and adore – so they will be very excited to hear that Peppa Pig has a new dedicated theme park. 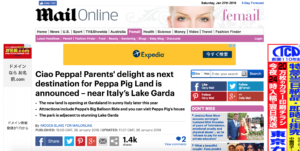 Though the news might make parents groan at first, the new Peppa Pig Land is based at Gardaland, which is based near beautiful Lake Garda in Italy. The lake is the largest and one of the most popular of the famed Italian Lakes, so after children have had their fill of rides such as Peppa’s Big Balloon Ride and the Pirate Island Boat Ride, the family can relax in the sunshine by the water. I simply adore strawberry ice cream. He adores going to parties. She has one son and she adores him. Don’t you just adore lying in a hot bath? Both girls adored their father. ‘Oh no,’ he groaned when he saw who it was. The other people in the queue were moaning and groaning. She’s always moaning and groaning (= complaining a lot) about the weather. He groaned with pain before losing consciousness. It’s a city famed for its ski slopes and casinos. I go to my mother’s house every week to get my fill of her home cooking. When you have had your fill of art galleries, the city’s wonderful cafes await your attention. Make sure you have your fill of cake—we made plenty for everyone! In the dedicated Peppa Pig-themed area of the park – which is set to open later this year – children can meet characters, and visit Peppa Pig’s house. There’s also a Muddy Puddles splash area, as well as Grandpa Pig’s train ride. The theme park chiefs said they wanted the park to be inspired by Peppa Pig’s favourite activities: ‘playing, dressing up, enjoying outdoor days and splashing about in muddy puddles’. After the party we all set to and cleared everything up. If we all set to, we should be able to finish the job in a week. Don’t bring those muddy boots inside! You have to step around the puddles in the street after a rain shower. 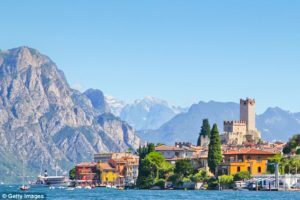 It may be easy for parents to give in to the children’s demands this time, as Lake Garda enjoys a lot of sunny, hot weather in the spring and summer months. However if you don’t want to travel so far, the original Peppa Pig theme park is in the UK at Paultons Family Theme Park near Romsey. 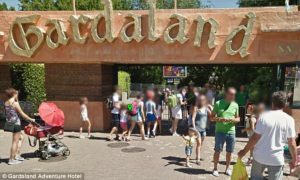 Gardaland is owned by British-based Merlin Entertainments, which also owns Alton Towers and Thorpe Park. The park is a stepping stone from the lake itself, though it doesn’t actually face the water. The Peppa Pig area is one of several themed spaces at the large Gardaland Resort, which also includes hotels – including one with a Peppa Pig-themed room – restaurants and an aquarium. Tickets cost €37.50 for an adult and €32.50 for children under the age of 10. Celebrities such as Drew Barrymore, Tom Cruise, David and Victoria Beckham, and Bradley Cooper have all been known to visit Lake Garda on holiday. She had to struggle not to give in to a desire to laugh. The board of directors finally gave in to employees’ demands for annual pay increases. John always gives in to his wife when it comes to financial decisions. I see this job just as a stepping stone to better things. I hope this job will be a stepping stone to something better. 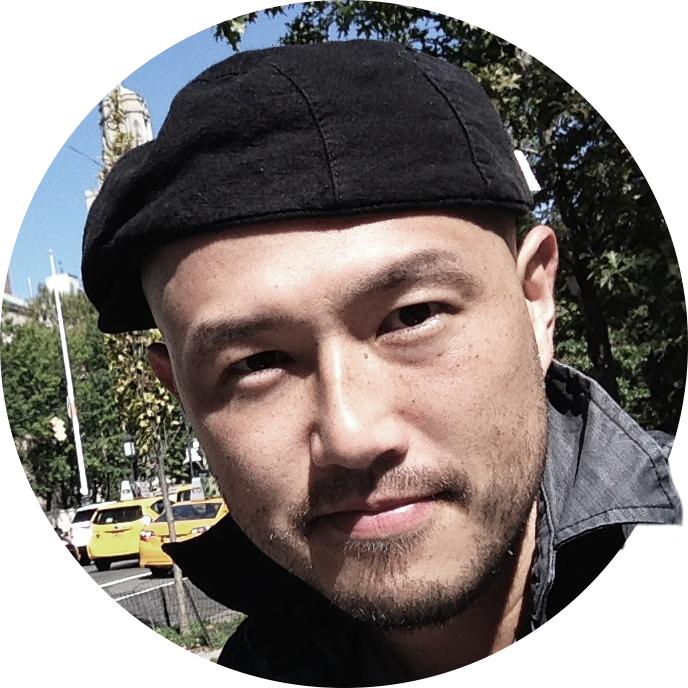 The job can be a stepping-stone to a career in publishing.